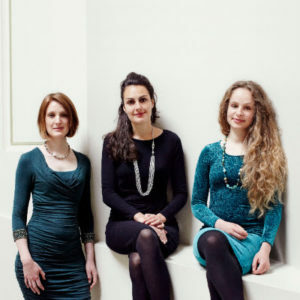 Voice have released a new CD entitled Patterns of Love , featuring five new compositions by Helen Chadwick, Marcus Davidson, Emily Levy, Stevie Wishart and Ayanna Witter-Johnson, and the trio’s arrangements of traditional songs from the British Isles. Marcus’s piece Light is a setting of the poem by Elizabeth Jennings of the same name. The album is available to buy on their website.